APW services Topeka, Lawrence, Ottawa, Atchison, Louisburg, Gardner, Osawatomie, and surrounding areas on the Kansas side of the border. APW services Peculiar, Warrensburg, Harrisonville, Grain Valley, Excelsior Springs, Cameron, Platte City, Smithville, St Joseph and the surrounding areas on the Missouri side of the border. APW holds the proper licenses to do business. We, upon request, will show you our general liability and workman’s compensation insurance. APW has its master plumber and its master mechanical license. All service technicians are background checked. All service technicians will arrive in a clean company vehicle and in APW uniform. When entering your home, all service technician will wear floor protectors over their shoes to protect your floors. APW’s mission is to serve the customer. How do we do just that? Our principals are founded on the “Dixie Difference”. 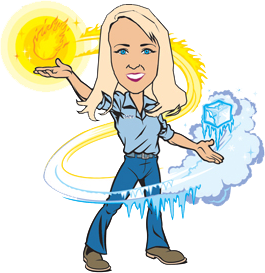 Dixie Williford, president and owner of APW, did not want her customers to have just any service technician complete their job. She wanted the customer to have a thorough and calming experience in their time of need. APW takes the time to educate customers on the causes of their issues rather than band-aid an issue in hopes for a future callback. APW offers high-quality products for a good value along with superior customer service. 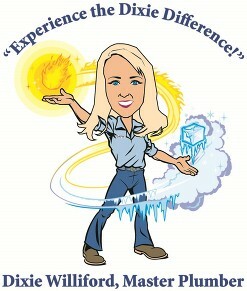 And lastly, qualified technician will take care of you, the homeowner, with your plumbing, heating, and cooling needs. 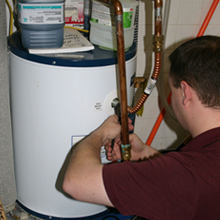 We take tremendous pride in the installation process of new and replacement equipment such as tankless water heaters, air conditioners, furnaces, and more. Every homeowner will have peace of mind knowing that quality workmanship has been accomplished in their home.